Whenever you search on Safari app on your iPhone, it uses the default search engine for the search results. The Safari app uses different search engines defined by the system to provide you web services on your iPhone. We understand that Google is the largest search engine used worldwide. However, you can still use any other search engine on your Safari app like Yahoo and Bing. It doesn’t matter which search engine you utilize on your iPhone, you will always have the Safari app for your web services. You can also download any other app on your iPhone to use web services. 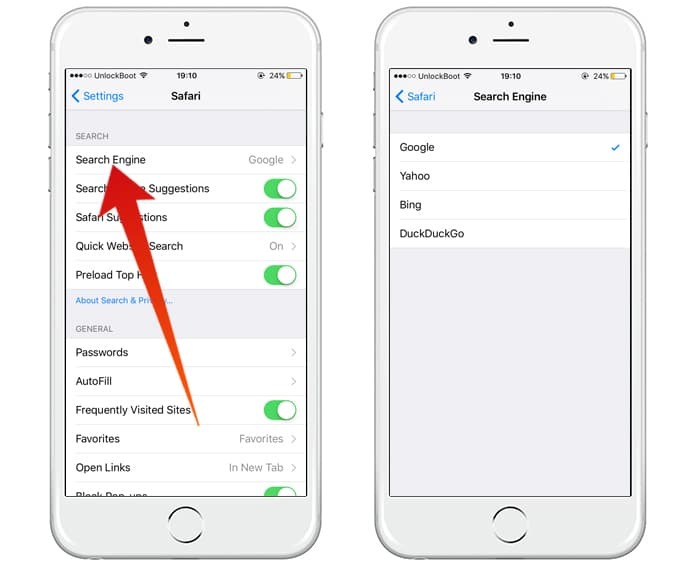 If you want to change default search engine on iPhone or iPad you can do it easily, just follow the steps below. There are a plenty of different browsers available on the internet that you can use to surf the internet. But, here we are talking about the search engine, not the app. Most of the people think that they cannot use different search engines in a single app. As mentioned above, you can easily use different search engine on iPhone including Google and Bing on your Safari app. Here it is clear that we have only one app Safari but different search engines. Another thing that people think about web apps is the default internet search engine. People think that if they install any web surfing app on their iPhone, it means they would now use a different search engine. However, it is not the case. The default search engine of the system cannot be changed automatically by an app. Moreover, some apps allow changing the search engine and some apps don’t. It also doesn’t matter that if you have another app that is default by the system. In opposite words, we can say that if you have downloaded a web surfing app on your iPhone and now you have made it the default browser, it doesn’t mean that you have changed the default search engine in other apps like Safari. We know this is complicated somehow, but you will easily understand it. Different people like different types of search engines. We know that the working of Google search engine is a bit different from Yahoo and its way of working is different from Bing and so on. They also have a different interface. It means all the people are not supposed to like the same search engine for surfing. When you start an iPhone, it comes with the Safari app, and there is always a default search engine in it. 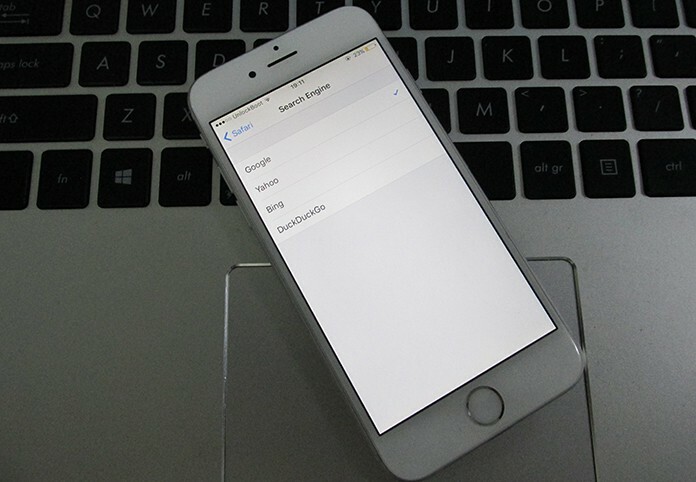 If you don’t want this search engine in your app and want to use a different one, you can easily change default search engine on iPhone or iPad. All you need is following the steps mentioned below. 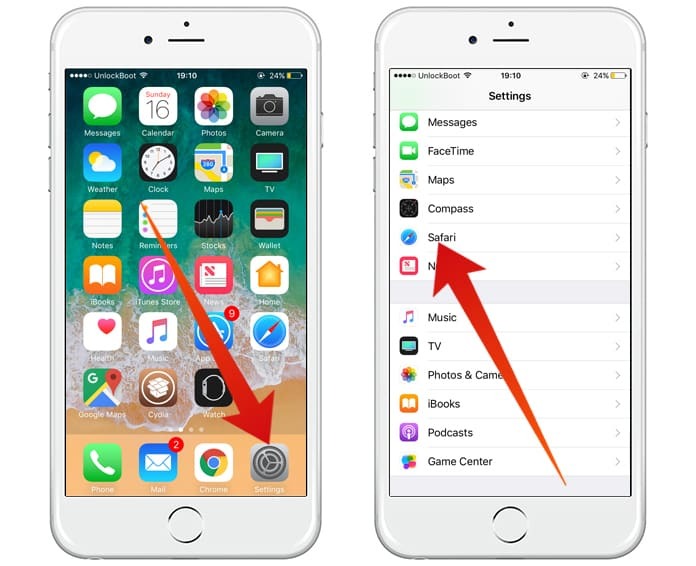 Step 1: Open the Settings app on your iPhone and tap on Safari option. Step 2: Here you will see an option named Search Engine. Tap on it. Step 3: Here you will see the list of all the available search engines for your Safari app. You can choose any engine and that search engine will be activated for your Safari app.